Zip Disks were at one time a tiny miracle. In 1996, 100 MB of storage sounded endless. Well, the name is back, but the spelling is different and the purpose is nearly unrecognizable. 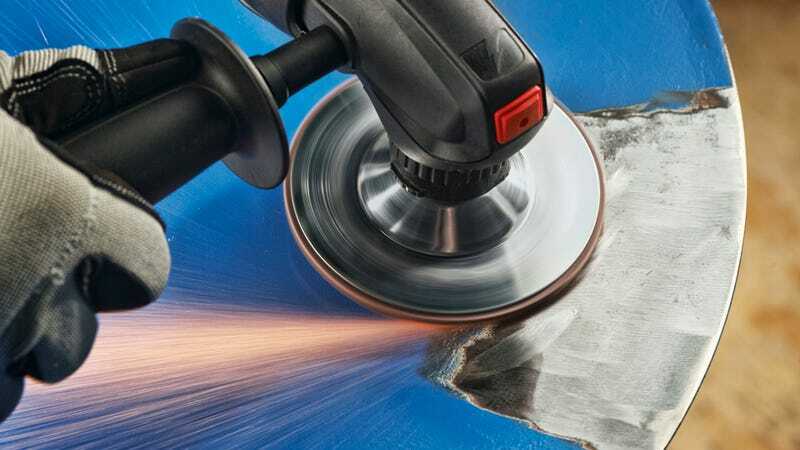 The Rotozip ZipDiscs are a pair of 4-inch abrasive wheels designed to scuff up surfaces when preparing them for welding or finishing. They attach to a ZipSaw Multi Saw, or to a Spiral+ tool with a ZipMate attachment, which orients the rotary tool like an angle grinder. The ZipDiscs store no data whatsoever. A nonwoven, silicon carbide abrasive design removes paint, rust, corrosion, blemishes, mastic, thin-set and adhesive from wood, metal and concrete. The versatile disc is unique in that its porous formulation can handle sticky materials, like thin-set and mastic, without compromising the integrity of the wheel or the material surface. Pretty amazing, if you have a bunch of metal you need to shape up. But if you're looking to find a single coaster-sized drive to hold a copy of Warcraft II and Duke Nukem 3D, you're in for a major disappointment.